Hey, I made a break from the game for 6 months and now I'm back and can't play the game for more that 3 games. After 5 minutes it starts slowly to freeze. I did already reinstalled the game, no change. The game used to run on this exact device before without any issues, could play for hours. Also I noticed that the phone goes into standby if I don't touch the screen, usually it won't do that. Anyone an idea? Check running application list and memory usage. Same thing here..... all my programs are up to date, and technically fine. It's got to be something server side. Umm....learn to manage your device? How many other applications do have running while playing? How much available memory do you have? Personally, no other apps, everything is up to date, and my device is "managed". I work in tech development, so have a pretty good handle on my devices. Have a few gigs of memory. It's pretty managed, back then I could have lot of apps open without issues, but if course I closed all apps aswell, same issue. Got enough memory. I have this exact issue. After about 5 minutes the game starts to lag, after 10 minutes it becomes almost unplayable since every action takes so much time. Feels like a problem with the client. I run Android 8, Moto G6 with 4GB RAM. 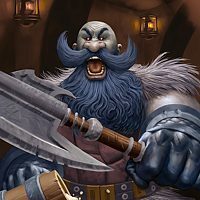 Hearthstone uses ~630MB RAM, though there is still plenty left. If I restart the app the fps are restored to normal, but after 5 minutes of playtime it starts to slow down again. 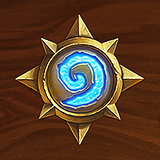 Is there a way to grant hearthstone more Memory to test if that is the problem?